You want to celebrate Valentines but tight on the budget. No worries! 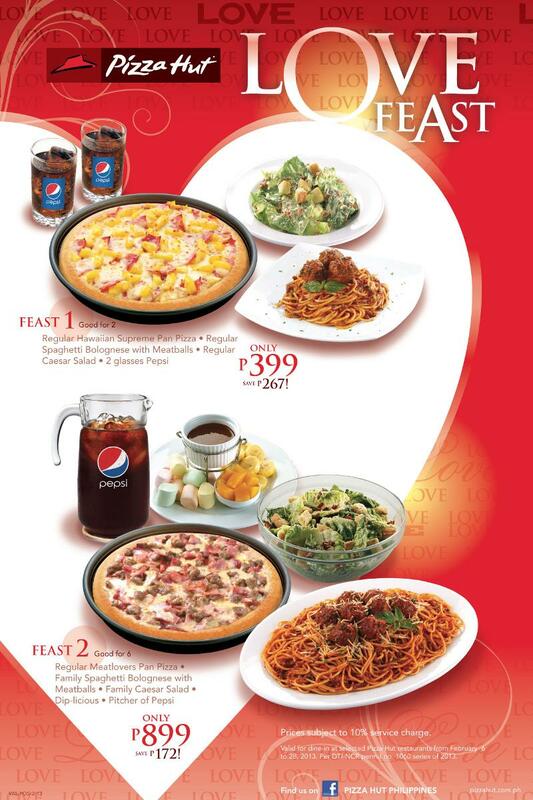 Pizza Hut is offering two Love Feast you can choose from. This is an exclusive offer for dine-in customers until February 28, 2013. I actually sent this promo via email to my husband but not to celebrate Valentine's day but to celebrate his birthday which is next week! I'm pretty sure that he will chose Feast 2 because of the chocolate dip. He is a sucker for anything sweet while me loves bread. Isn't it great where you can spend less and be practical while sharing a special moment with your loved one?